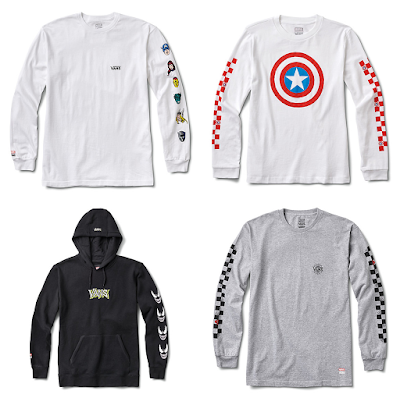 Check out this awesome Marvel Comics x Vans Apparel Capsule Collection, which merges two iconic brands into one killer line of t-shirts, hoodies, jackets, hats, socks, and more! 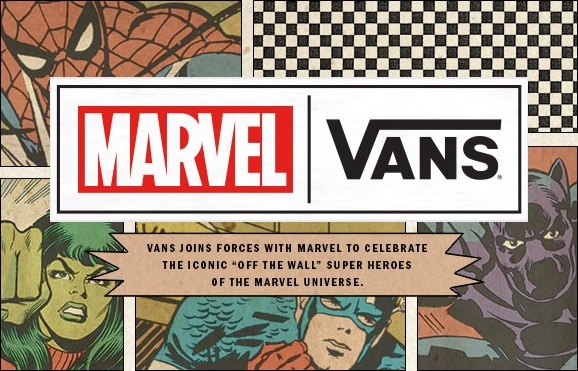 With this release, Vans joins forces with Marvel to celebrate the iconic “Off The Wall” super heroes of the Marvel Universe. 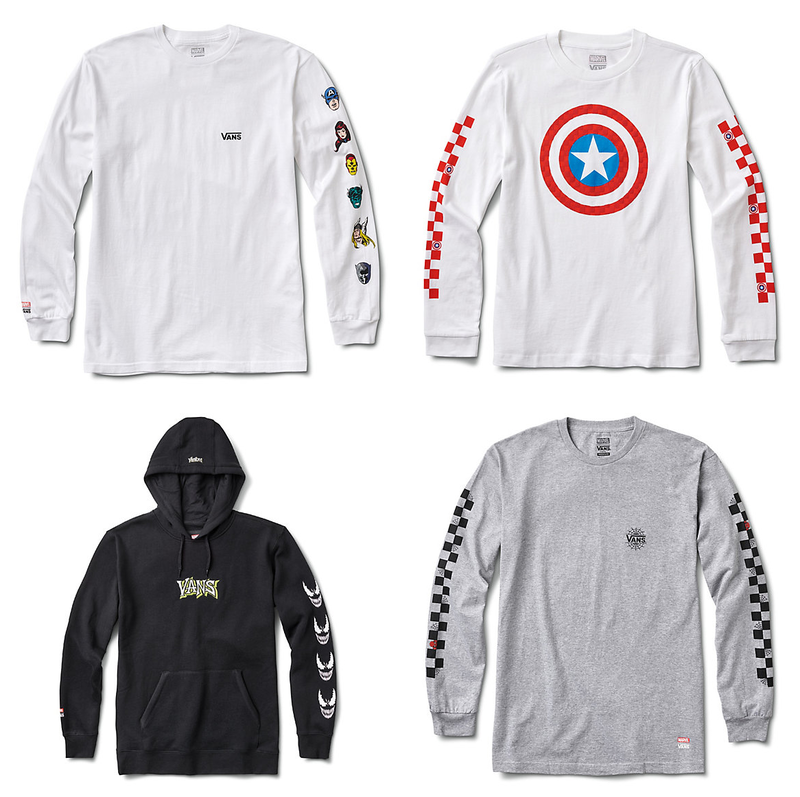 This exciting collab feature all of your favorite Marvel heroes, including The Avengers, Spider-Man, Venom and more! The Marvel Comics x Vans T-Shirt Capsule Collection includes designs featuring characters such as Captain America, Iron Man, Hulk, Captain Marvel, Black Panther, She-Hulk, and Black Widow. 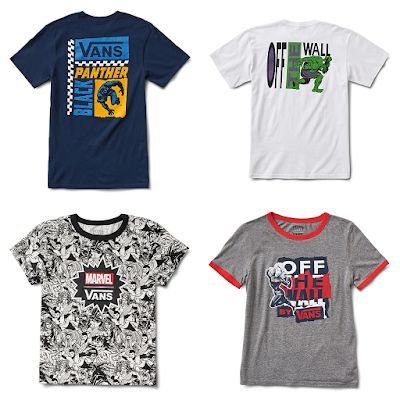 The Blot especially loves how much of this collection focuses on Captain Marvel and female super heroes of the Marvel comic book universe. 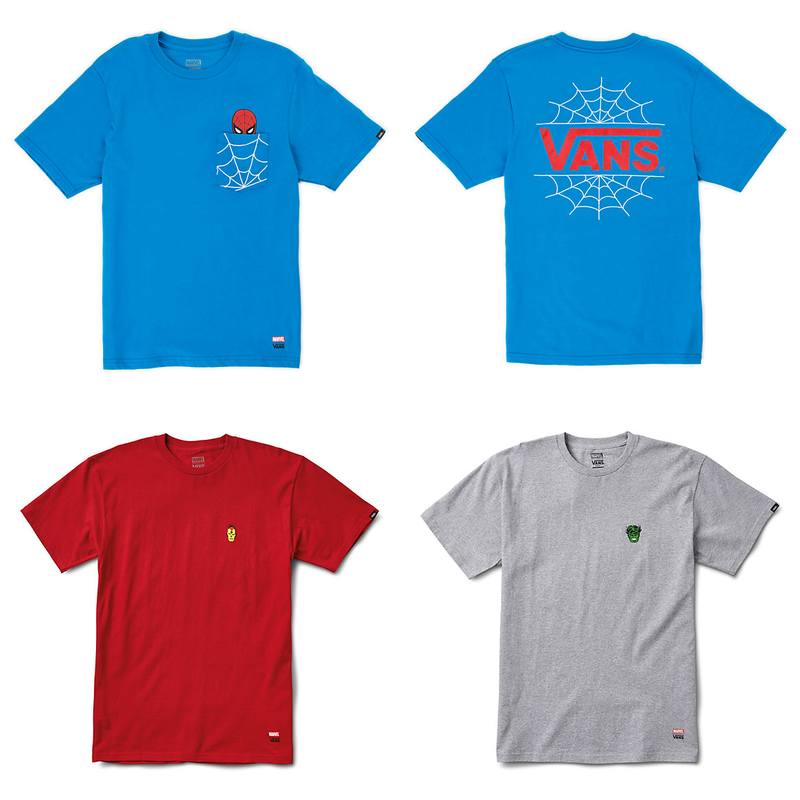 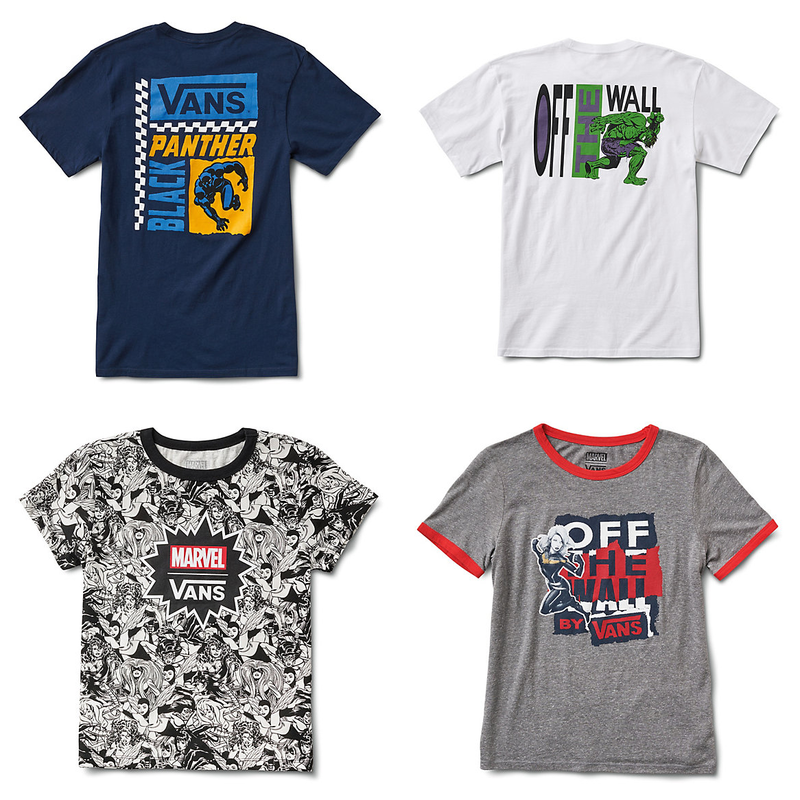 What’s great about the Marvel Comics x Vans T-Shirt Capsule Collection is that it includes releases in mens, womens, boys and kids sizes/styles. 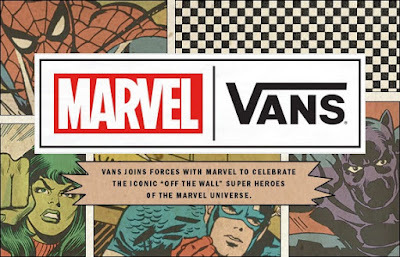 The Marvel x Vans Collection is available now at all Vans retail locations and online at the Vans online store. 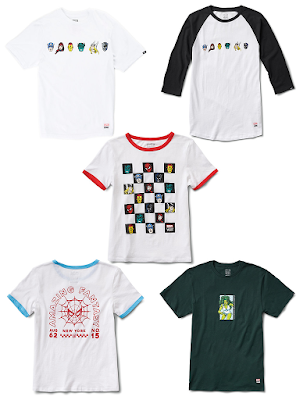 But act fast, as many sizes are already selling out.